In Tonia’s presentations she motivates and re-energizes you to want to become more organized. Let’s face it, living in an unorganized space takes time and energy. Energy is something that Tonia will give you through her simple organizing tools and ideas. Tonia gives real life examples to others clutter issues so it’s easy to relate during her presentations. As an entrepreneur, business owner, author, speaker, and mother, Tonia can relate to almost any audience. Her humor, warmth, and experience will make it easy for anyone who participants feel comfortable and able to learn. You will learn how to improve your office organization with effective tips on filing systems, avoiding procrastination and do more work in less time. Identify the right categories for your filing problems, reduce interruptions, delegation process to save you time. 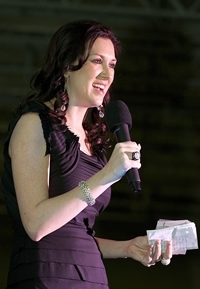 This speech is great for businesses, women’s groups and self employed groups. Tonia will share techniques to relieve the stress that disorganization brings to your office and work place. This is a more relaxed event for business owners to give to their clients as a gift with wine and getting organized. Your clients will learn hot organizing ideas for better time management, tips for avoiding procrastination and how to cut the paper clutter once and for all. Your audience will learn how to make more efficient list, save an hour a day by being a better time manager, and be able to have a more accomplished work/life balance. 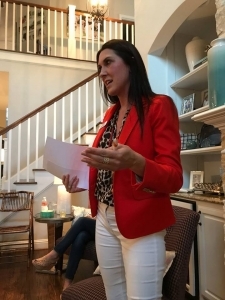 Organizing can be overwhelming and in this speech Tonia teaches families with children how to cut the clutter and gain control in their lives. Prepare and improve your life with your children. How to stay productive and create organizational techniques that fit your family and your busy schedule. This speech is great for women’s clubs, mom’s groups, multiple clubs, MOPS Groups and Junior Leagues. Working busy career women need quick and easy resources to implement and feel like they can do it all. 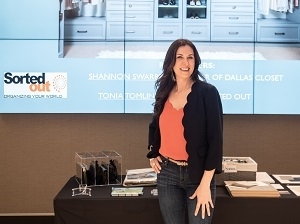 Tonia will give you practical ideas to organize toys, kitchen areas, communication station, art work and other clutter bug areas in your home.